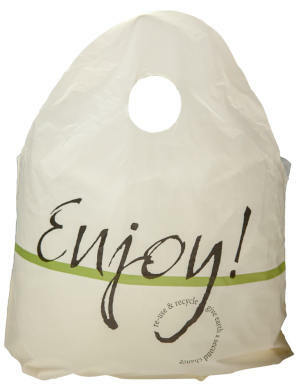 W x H + Gusset: 21" x 18" + 10"
Super wave top handle "Enjoy" merchandise bags 21 x 18 + 10BG are durable and affordable bags used for books, magazines and other small items. These cream colored pre-printed 21" x 18" wave top plastic merchandise bags with a 10" bottom gusset are easy for your customers to carry home while protecting recently purchased products. 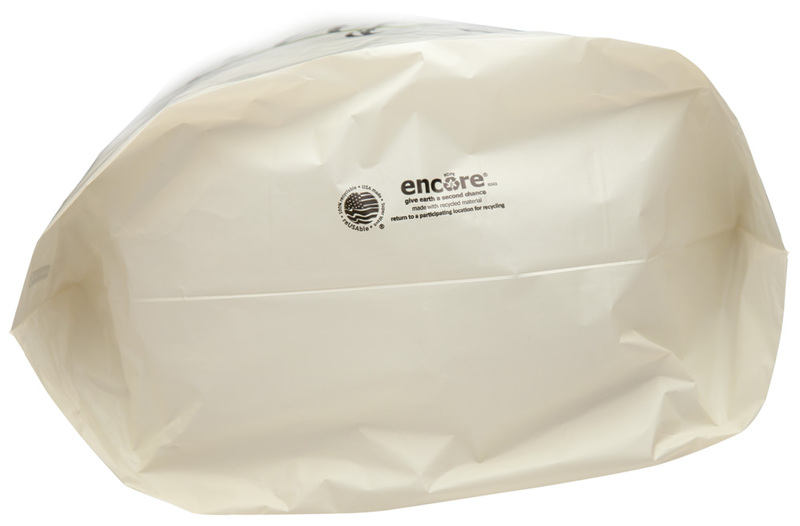 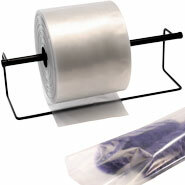 Reusable retail bags with a wave top handle 21 x 18 + 10 are a practical and economical choice for many retailers.